Responsible for the Mayor’s Regional Platform, and advances the Mayor’s vision of a regional economy. Oversees five municipal departments: Economic Development, Community Development, City Planning, Building and Housing, Port Control, and Office of Equal Opportunity. Serves as the liaison between the City of Cleveland and the Cleveland Metropolitan School District. Increase customer service by providing direct access to the Mayor’s office and connecting citizens with City Services. Answer, track and process citizen suggestions, questions, concerns and service requests. 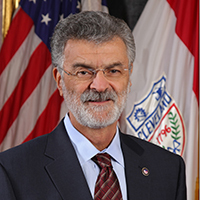 Advisor to Mayor Jackson on issues related to workforce development, community relations and health and human services.